Florida State University senior Collin Goldstein is studying Interdisciplinary Medical Sciences with a desire to help his community and a dream to become a doctor. Born and raised in Palm City, Florida, Goldstein got his first taste of Florida State as a high school student when he attended the College of Medicine’s summer medical institute. The program gives high school students an opportunity to stay on FSU’s campus and get a preview of medical school. They tour clinical settings, receive tips on preparing for the ACT and SAT and connect with current medical students serving as mentors. After spending a week at the medical school, Goldstein could see himself thriving at Florida State no matter what path he chose. “There are so many opportunities for you to excel and exceed in anything that you choose, whether it’s research, or academia, or any kind of extracurricular activity — you get it all,” he said. Goldstein’s instinct to offer help where it’s needed prompted him to volunteer at the Kearney Center, a homeless shelter in Tallahassee. He has served as the group’s community outreach chair, brought food for residents and played basketball with them. He said he hopes to lift their spirits. “They really enjoy it and by spending time with them, you get to build these relationships and make friends,” Goldstein said. In addition, Goldstein has volunteered at the mobility clinic at Tallahassee Memorial Hospital (TMH). He helps patients stay physically active during their hospital stays. Part of the rehabilitation process includes socializing with other patients, and Goldstein has helped lead those efforts. He is the president of the group No-le Heart Left Behind, which organizes events such as trivia, bingo, and arts and crafts to encourage patients to connect with each other. “It’s our job to get them out, care about their emotional health and support them so they can enjoy their time here instead of being lonely,” he said. These opportunities have provided Goldstein a firsthand look at life in the medical field and given him the chance to help those who need it most. On campus, Goldstein has served as a leader and tutor in the Undergraduate Research Opportunity Program (UROP). The program provides first- and second-year undergraduate students with the chance to conduct research under the guidance of an FSU professor in a field of their choice. UROP leaders teach a biweekly class and introduce students to the research process. Goldstein’s initial experience in UROP motivated him to become a program leader as a junior. He wanted other students to have a great research experience as well, and he hoped they would think about research differently as a result. Goldstein’s time as a UROP leader sparked his interest in teaching, so he joined a tutoring center to help other students excel in their classes. 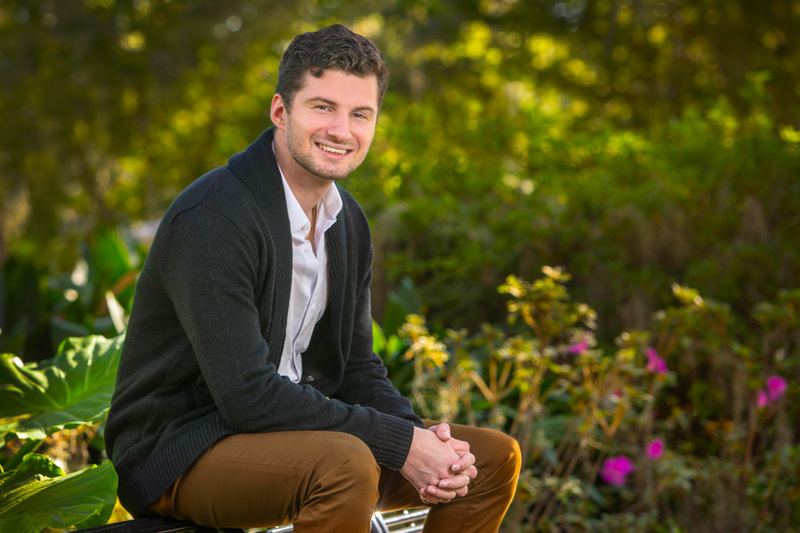 Goldstein’s experiences at FSU have prepared him for his future in medicine, and he plans to begin medical school in fall 2019. Currently, he is considering pursuing anesthesiology or surgery and is also interested in teaching one day. Goldstein said the time he has spent at Florida State has been essential to his personal development, and it has helped him investigate his interests to achieve his goals.